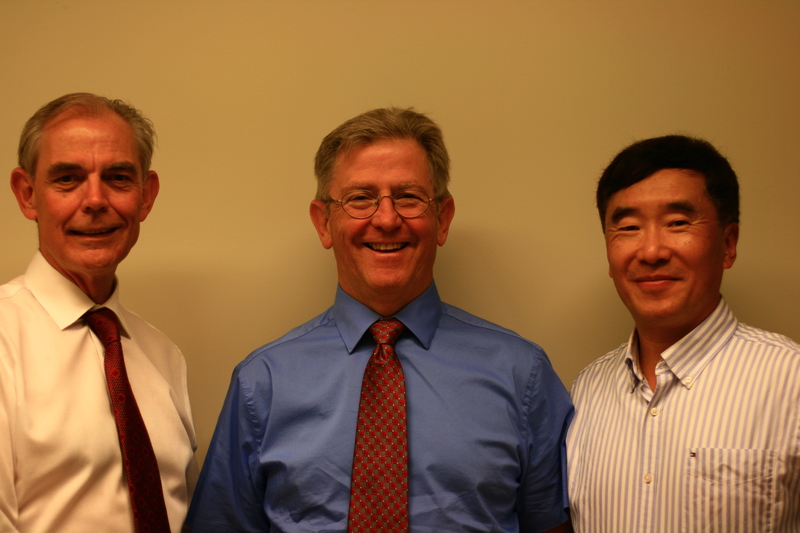 In 2010, Lower Mainland Biomedical Engineering (LMBME) became a single entity as part of Lower Mainland Consolidation (LMC); an initiative which consolidated many healthcare services in order to share resources and optimize patient care. With that change came a new organizational structure for LMBME and a greater emphasis on patient safety. Under the leadership of Chris Buck, Executive Director, the LMBME team has been using the BC Patient Safety & Learning System (BC PSLS) to improve the way problems with medical equipment and devices are reported, analyzed and addressed. Ultimately, their goal is to address problems with medical equipment before they become serious patient safety concerns. I had the opportunity to learn more about LMBME and the Fraser Health team from Charles Xiao, a Biomedical Engineer with VCH for the past nine years. Charles is the initial reviewer of all medical equipment events reported in BC PSLS from across the Lower Mainland. Charles began by explaining his role before talking about how the Fraser Health Biomed team is using BC PSLS to foster a culture of safety, shared learning and quality improvement. “Every day, I review anywhere between 50 to 100 BC PSLS events from the four Lower Mainland health authorities,” says Charles. Ray Polak, Director of Biomedical Engineering (FH), has been a strong advocate for BC PSLS since it became available to the organization. Ray encourages all FH Supervisors to develop their skills with using BC PSLS forms and reports as a way to learn and improve. In fact, Charles is quick to point out that all FH Supervisors actively use BC PSLS reports and are particularly adept at reviewing and following-up on events. He says they’ve all completed large numbers of follow-up Actions and used BC PSLS as a catalyst to embed patient safety into everything they do. As is the case in all health authorities, the BC PSLS Coordinator plays a pivotal role in supporting programs and departments with their patient safety goals. Charles says Tammy Simpson, FH Coordinator, has been a great help to the Biomed teams by distributing monthly summaries of their activities, helping them to understand their BC PSLS data and responding promptly to questions when they need help. “Overall, I would say it’s an intricate web of activity in Biomedical Engineering and it’s working very well for our team,” Charles says. After meeting with Charles I was very impressed with all he told me about LMBME and their commitment to patient safety. Charles’ enthusiasm and admiration for the Fraser Health Biomed team was particularly inspiring. Certainly, all their efforts will lead to greater awareness of medical equipment safety and better patient care in Lower Mainland healthcare facilities. I would like to thank Charles for providing insight into LMBME and the Fraser Health Biomed team. Stay tuned for more patient safety stories from LMBME! Lower Mainland Biomedical Engineering (LMBME) is comprised of 200 staff members including Biomedical Engineering Technologists, Engineers, Machinists, Managers and Directors who look after approximately 90,000 pieces of medical equipment at 27 major hospitals and other healthcare facilities in Fraser Health (FH), Vancouver Coastal Health (VCH), Providence Health Care (PHC) and Provincial Health Services Authority (PHSA). Charles Xiao has been a Biomedical Engineer with Vancouver Coastal Health for nine years. He is a passionate advocate for patient safety and would like to acknowledge his colleagues for their commitment to BC PSLS and our underlying philosophy to provide safe healthcare for the people of BC. To learn more about his areas of expertise and the LMBME team, please contact him by email at Charles.Xiao@vch.ca.